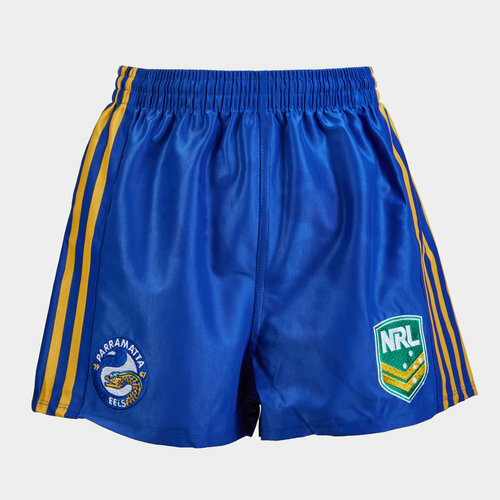 Fly the flag for the Eels when you wear these Parramatta Eels NRL Kids Supporters Rugby Shorts from ISC. Sticking with tradition these shorts are royal blue with gold detailing down the sides. The NRL logo is on the left whilst the club badge is on the right.